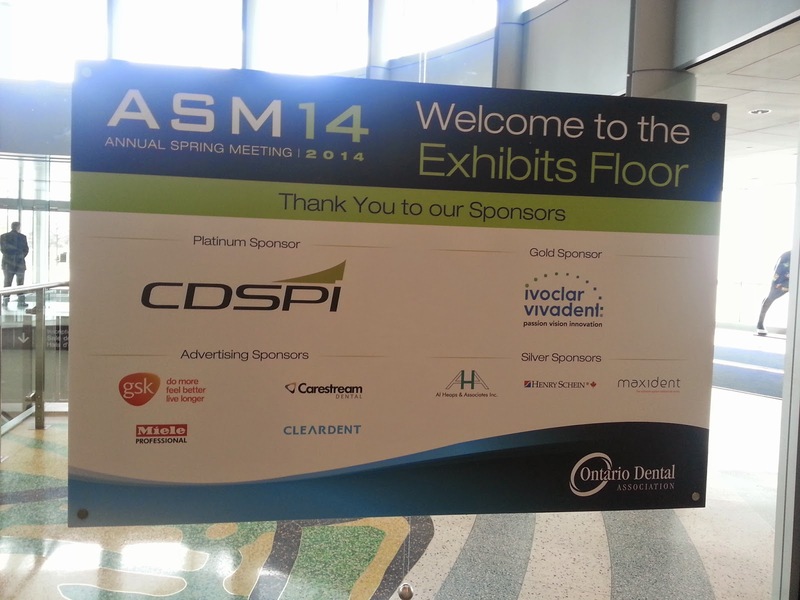 The Ontario Dental Association Annual Spring Meeting is an event that we look forward to every year. There are excellent opportunities and connections to be made, and we took on the offer to be an exclusive advertising partner. 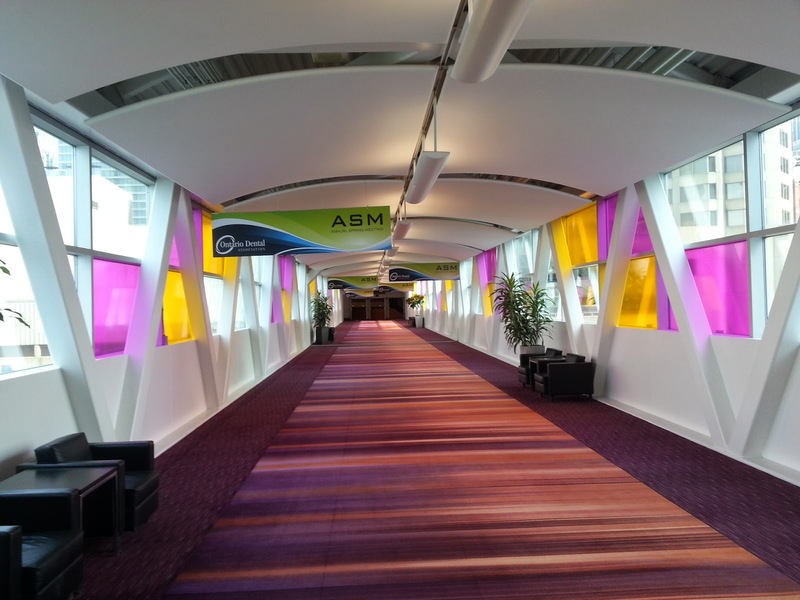 The beautiful skywalk also welcomed 11,500+ delegates to the event, which is the largest turn-out in many years. 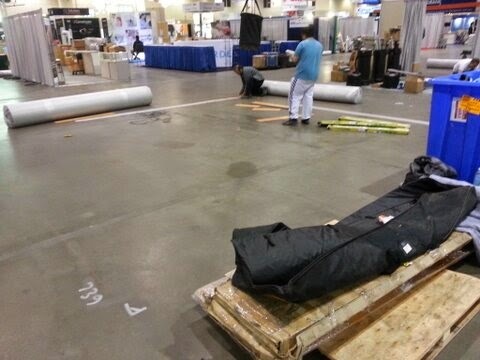 Vicky Hatzopoulos did a tremendous job coordinating this whole trade show, and it was a joy to work with her. We hope everyone learned a lot and enjoyed the various exhibits. As we are a software company, we typically provide our products and services over the phone and Internet. Therefore, this event gives us chance to connect with existing clients and answer any questions they have, as well as meet some new faces who share their love for dentistry in person. 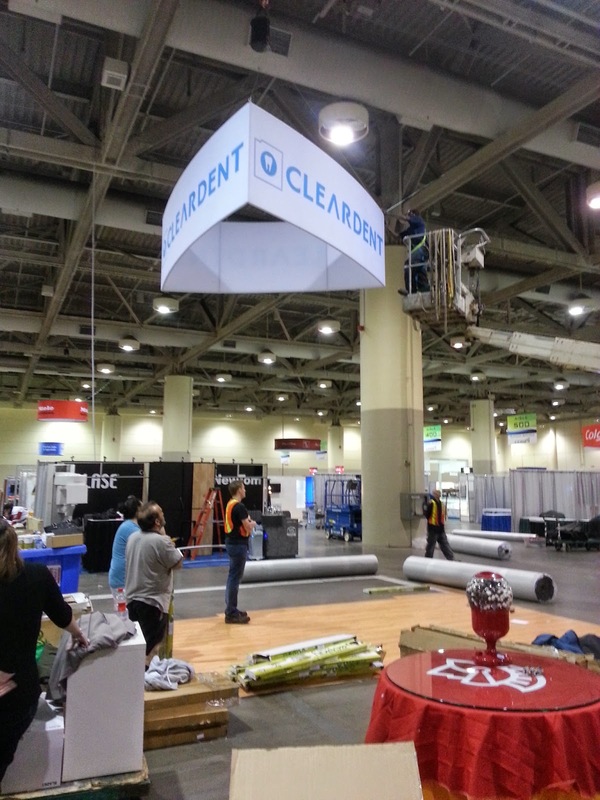 There was a lot of interest for practices to go paperless, and this is an exciting time for ClearDent. 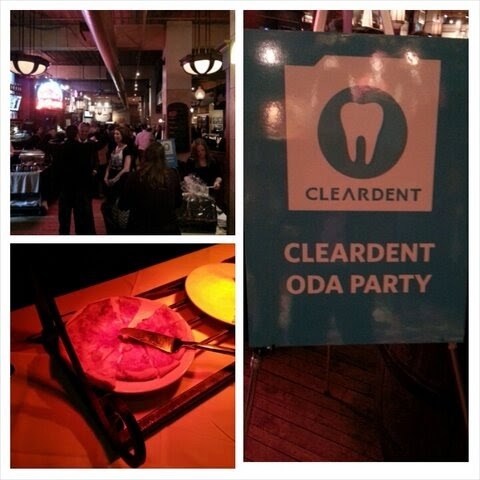 We would like to welcome new users to the ClearDent family! Keep our blog bookmarked and follow us on social media for news and upcoming events! Once again we used our innovative fold-able furniture from chairigami and molo design - eye-catching and environmentally friendly. Everyone loved it! As well, MSI Computers Canada also supplied us with their new line of touchscreen PC's, the super slim Adora. People were raving about how thin, light, and gorgeous these systems looked. More importantly, the flicker-free screen displayed the ClearDent software and the digital x-rays just beautifully while reducing the eye-strains. 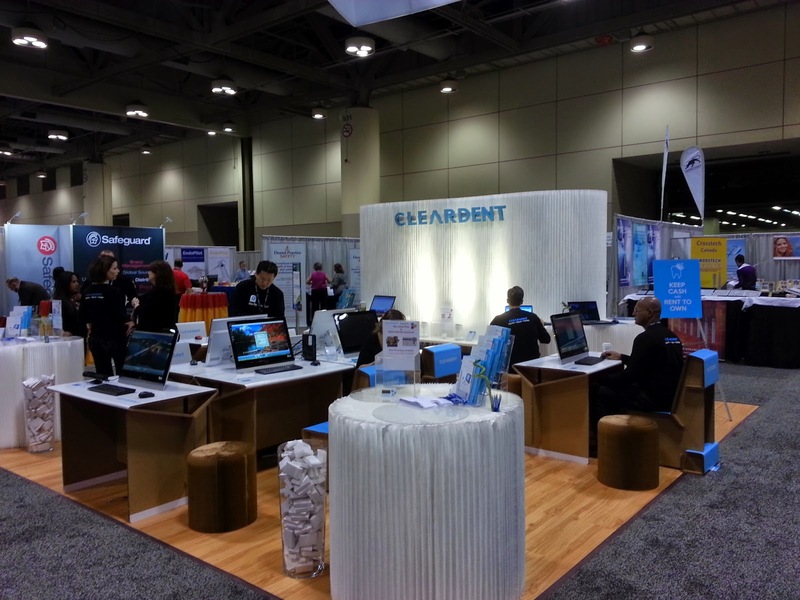 It was great seeing the Pacific Dental Conference booth at this show! We're also looking forward to PDC 2015! We had our annual ODA ASM at Joe Badali's once again. This year's party had a great turnout, almost doubling the amount of attendees from last year. The food and service was excellent as always. We also had wonderful speeches from Colleen and Vanessa from AboutFace! Thank you for everyone who came by and made a donation to them. Be sure to come to our party next year, as it is sure to be another hit! Did you miss us at the show? Don't worry! You can reach us by phone and/or email. Please feel free to contact us! Don't worry! We are hosting a seminar to discuss the benefits of going paperless with ClearDent! Read more here. We'd like to thank AboutFace for everything they do, and for everyone who donated. We are proud to support them! We just finished counting ballots and we will be donating $350. Thank you for supporting a great cause! We are very active on social media! Connect with us to receive the latest news and important announcements, as well as funny videos and photos! Also, send us a direct message on the social media to communicate with us if that's more convenient to you.